From our late model Volvo tractors to our state-of-the-art equipment, we believe in investing in the best equipment to keep our drivers and customers happy. In Lake Wales, Florida we have a full service tractor and trailer repair facility. Our state-of-the-art tractor repair facility has over 20 well trained and qualified technicians to handle all maintenance repairs. With our fleet predominantly Volvo tractors, we are an assigned Volvo training facility. Our technicians can acquire Volvo certification on-site through the customer service portal (Volvo University). The body shop has the ability to produce factory type finishing and is equipped with full-time employees that are highly qualified to repair all types of body damage. We have a Josam three axle alignment system and Oakley tractors are on a regular scheduled alignment program to assure alignment of each tractor axle and obtain the lowest cost per mile on tire wear within its fleet of over 450 tractors. Our maintenance coordination department manages every breakdown from our location in Lake Wales. The coordinators are highly skilled in handling breakdown calls and dealing with the day-to-day coordination of preventive maintenance of our fleet. Our trailer shop has an “R” stamp for fabricating and is a CT certified repair facility that performs all required VIKP inspections, as required by the department of transportation. Oakley Transport utilizes a state of the art computerized wash system capable of capturing all elements of the wash procedures, including ph levels during the wash cycle. We have an electronically controlled high pressure low volume system. This system is designed to sanitize and rinse each tanker to achieve complete sterilization. All fittings and valves are removed, cleaned, and sanitized. 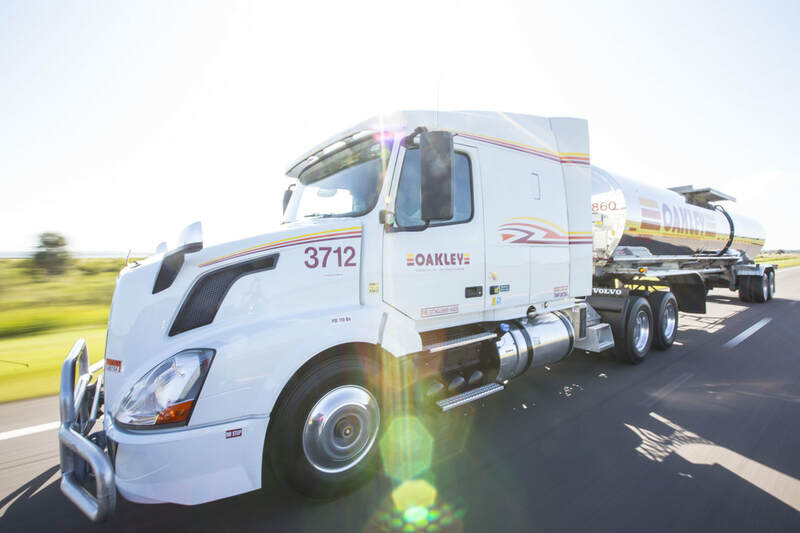 With over 20 years of experience, Oakley Transport’s Tank Wash Division understands the importance of cleaning and sanitizing Food Grade Tankers. We are continually working with our clients to ensure we meet their individual tank wash specifications. ​Oakley Transport’s tank wash is a Kosher certified and JPA approved wash facility. 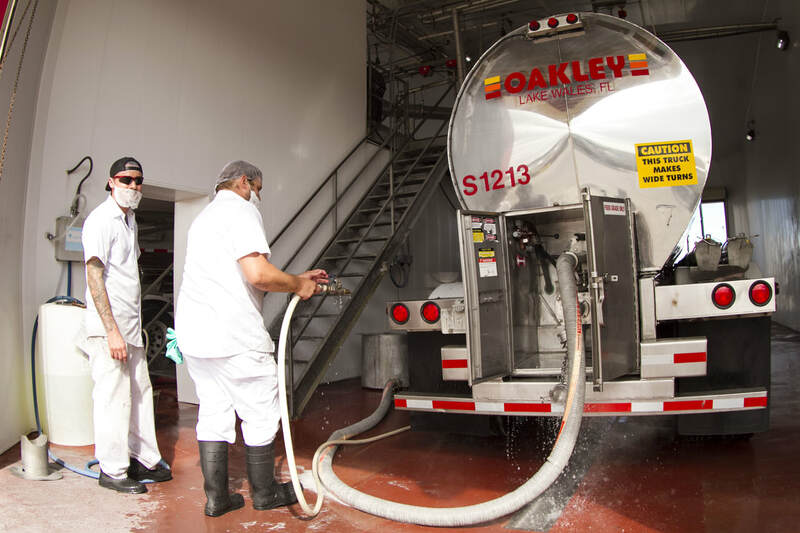 We have been conducting food grade washes and sanitation on food grade tankers since 1987. We have been audited and certified by many of our Fortune 500 clients to transport their commodities with the assurance that the integrity of their product is our highest priority. ​We utilize the industry's best tractors and provide late-model trucks to our drivers. Currently, our fleet includes 2014 and newer Volvo Tractors. A full service tire shop houses new, recap and used tires to manage the well controlled tire program throughout the fleet.